Facial paralysis is a severe disease and presents a formidable treatment challenge. A wide variety of surgical procedures are available with limited evidence. Major risk factors of suboptimal recovery include the duration of paralysis as well as higher age. In this paper, we demonstrate reconstruction of the facial nerve via an intratemporal end-to-end anastomosis and concomitant transfer of an intact masseteric nerve to the side of facial nerve trunk. The supercharge (reverse end-to-side) transfer resulted in preservation of target muscles and faster recovery. Masseteric supercharge bypass may be an acceptable surgical technique to restore muscle function in potentially higher risk cases. The patient has consented to the submission of the case report for submission to the journal. Additional informed consent was obtained from patient for whom identifying photography is included in this article. All procedures performed in study involving human participants were in accordance with the ethical standards of the institutional research committee and with the 1964 Helsinki declaration and its later amendments or comparable ethical standards. 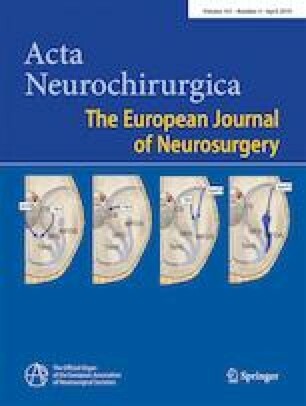 This article describes a surgical method of direct suture repair of a completely transected facial nerve combined with a supercharge reverse end to side repair in which the master branch of the trigeminal nerve is cut and using a sural nerve interposition graft anastomosed into the side of the facial nerve distal to the primary repair site. The clinical outcome given the length of time from the original injury is quite good. The authors convincingly demonstrate dual innervation of the facial muscles with progressive normalization of voluntary control of the facial muscles over time. It is another useful tool in the peripheral nerve surgeon’s tool box.